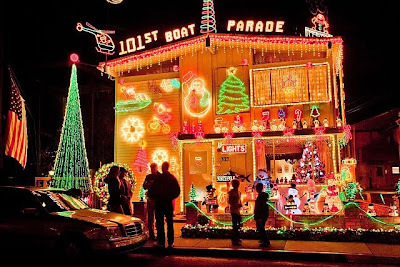 The Christmas Decorations on Balboa Island are completely over the top. Like this one for instance. It blew fake snow off the roof and did a computerized light show every 7-minutes. It took three weeks to decorate. Another one had fake penguins, fake snow and a fake ice pond in their front garden. 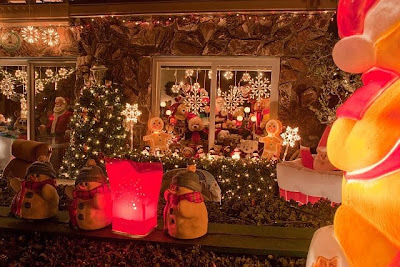 This house belongs to a Teddy Bear collector gone crazy. If you look in the windows you will see mountains of bears and stuffies. Hey Maia, what do you want for Christmas? How will I get it to you?